Featured Artist Of The Month!!! Our Featured Artist of the Month for April is none other than Stephanie “Steph” Fife. Stephanie is currently a senior at Riverton High School were she serves on the Year Book Committee. Some of her hobbies include going to Lake Powell with her family, wake boarding, playing instruments like the ukulele and piano, spending time with friends, and playing with her dog Maggie. Stephanie said that drawing helps her to focus and remember things. As you can see she enjoys drawing the LDS Temples and many of those drawings are displayed in the clerks office of her ward building. There is no greater feeling than seeing others admire and enjoy your work as much as you do. Keep up the great work Steph! We spent the next two months trying to enjoy every moment we had with our son. We went to weekly appointments to listen to his heart and see how his condition was progressing. With each appointment his heartbeat weakened until on December 5th we heard what we’d been dreading – silence. Our baby boy was gone. Kyden James Fife was born sleeping on the morning of December 8th and we laid him to rest on December 13th. Just over a year later, Scott got me an unfinished trunk for Christmas where I could put all of the keepsakes we’d collected for Kyden. I’m big into crafting so I was super excited to design it just for Kyden. I started working on it right away; then life happened and it literally was put on a shelf. Two years later, I finally finished it! We chose the lamb to represent Kyden for a couple of reasons – first we were given a lamb stuffed animal in the care box we received at the hospital when he was born. When I saw it, I immediately thought of my son and knew it was the perfect animal to represent his short little life here on earth. Second, because Kyden was born in December, our thoughts were also heavily on our Savior, Jesus Christ. Not only were we celebrating Christmas, but Jesus is known as the Shepherd and the Lamb. So our little Kyden lamb reminds us of our Savior and all He has done for our family – including giving us the strength to endure this trial. For the trunk I designed a flying angel lamb to represent Kyden and used a wood burner to inscribe the design into the sides of the trunk. I’ve never done wood burning before so this was a fun learning experience for me! I actually created the image on the computer, printed it out, taped it to the side of the trunk and punched holes along the line art using a thumbtack so I could then trace it with the wood burner. It worked really well! Once the design was finished, I stained the entire outside of the trunk, painted parts of it blue (Kyden’s color), sanded the paint and re-stained it. The letters were originally black, but I painted them brown to match my color scheme. I then mod podged scrap paper on top and glued them to the front of the trunk using wood glue. I finished off the trunk by adding a couple of layers of clear protective coat and let the trunk sit out in our storage closet for a few days to air out. All in all, we feel it is a good representation of our son and perfect for storing our precious memories of him! We have it above the cabinets in the kitchen now. We feel like he’s watching over us and we get a reminder of his sweet spirit every time we look up at it. We miss him, but know we’ll be reunited as a family someday! I don’t do a lot of fanart – at least I haven’t in the past. But it turns out I very much enjoy creating it. The other night I was sitting at my computer, wondering what I wanted to draw when Caj entered my mind. 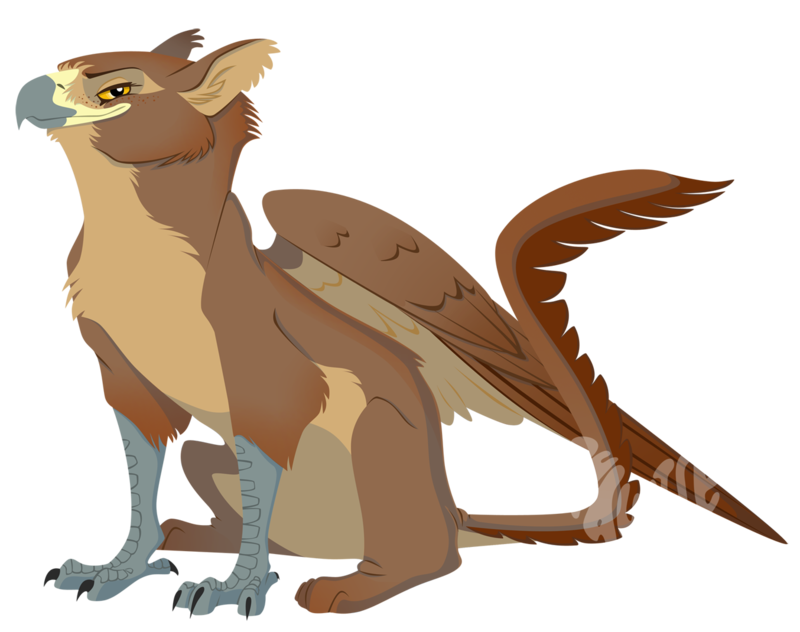 Caj is one of the griffin characters from Jess Owen’s Summer King Chronicles. He’s one of my favorite characters from the series and I’ve been meaning to draw him for awhile. So I came up with this! It’s just a fun character concept – how I picture him. I have a goal of drawing the majority of the characters because I love making them jump out of my imagination for everyone to see! As always – I highly recommend checking out this series! It’s a fun read with well developed characters and story! I got sucked in the moment I started reading them and have been a huge fan ever since! And if you ever get a chance to talk to Jess herself you won’t regret it – she’s a truly kind and caring individual who loves and appreciates her fans! It’s been awhile, but I haven’t forgotten about finishing my Teenage Mutant Ninja Turtle portraits! I started with Leonardo, then did Raphael. 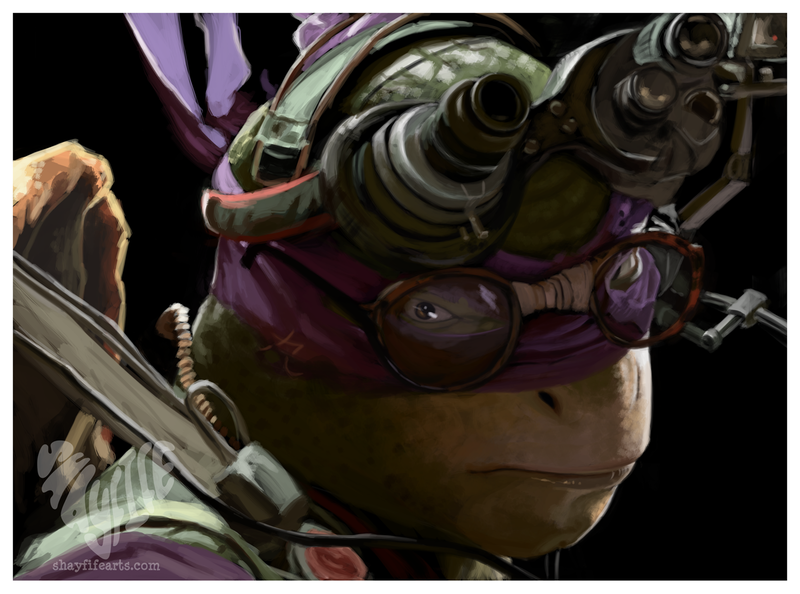 And now we have the third brother – everyone’s favorite nerdy, Bo Staff wielding ninja turtle – Donatello! I took more time on this one – I’ll admit it, those gadgets were a little tricky for me. I actually started this several months ago and wasn’t really happy with the direction it was going. Pretty soon other things took precedence in my life and this was shoved to the back burner. I was finally able to sit down and re-visit it last week and once I did I was able to finish it in about 10 minutes. Sometimes you just need a bit of break! Our featured artist for the month of March is Koltyr Wright. 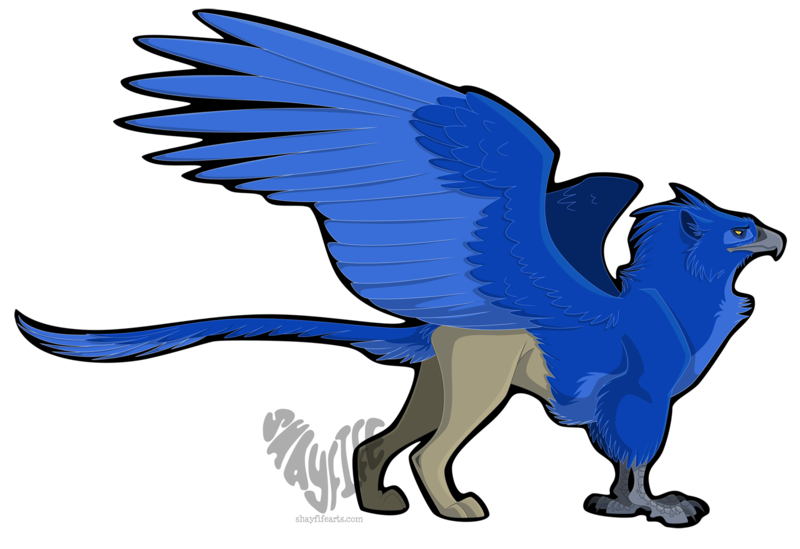 Koltyr is the fifth of eight children. He is currently a student at Utah Valley University, in Orem Utah, studying international business. He also works as a server at P.F. Chang’s in Provo, but dreams of working for Disney someday. Koltyr enjoys spending his free time singing with his acapella group VoiceLine. 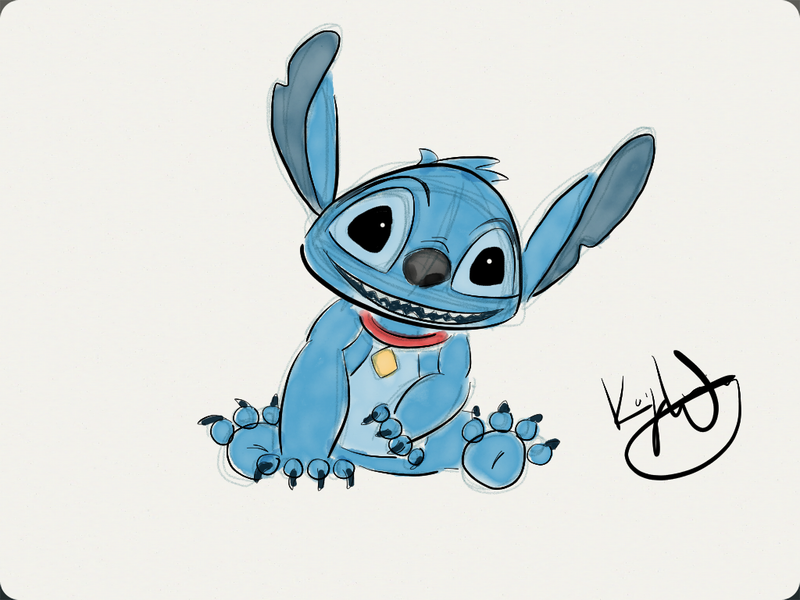 After a recent trip to Disneyland with some friends, Koltyr drew this amazing picture of Stitch from Disney’s Lilo and Stitch and we liked it so much we just had to share it! We love his attitude about creativity and how he uses it as an outlet of expression and personal growth. Thanks so much for sharing your talent with us! We look forward to seeing what you create next! A commission for one of my favorite peoples – Jess Owen! This is Brynja from the Summer King Chronicles. We meet Brynja in book 2 of this amazing series, Skyfire. Seriously, if you haven’t checked out her series yet, YOU NEED TO. Because these books are amazing! The third book isn’t available yet but you can preorder! I’ve actually read it because I got it early along with others who supported her most recent kickstarter, and let me just say it’s as amazing as the first two! Here are links if you want to check them out! I had so much fun with this that it went from being a bust to a full-body piece. I just couldn’t help myself! I’ve been wanting to design pretty much all of the characters from this series and this just gave me the opportunity to get started! 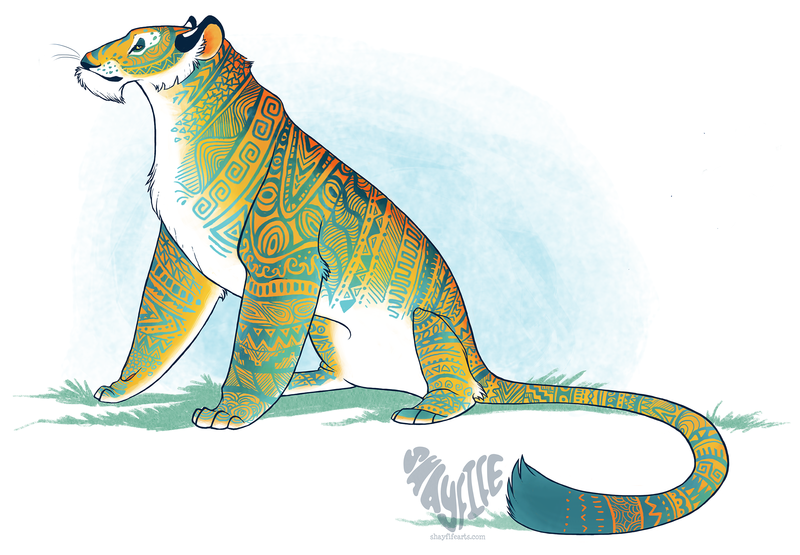 I was given some artistic freedom with her design and this is what I came up with. I hope you like it! New Special Discounts For Hosts!!! I have some new EXTRA LOW discounts for anyone who hosts a party with me. 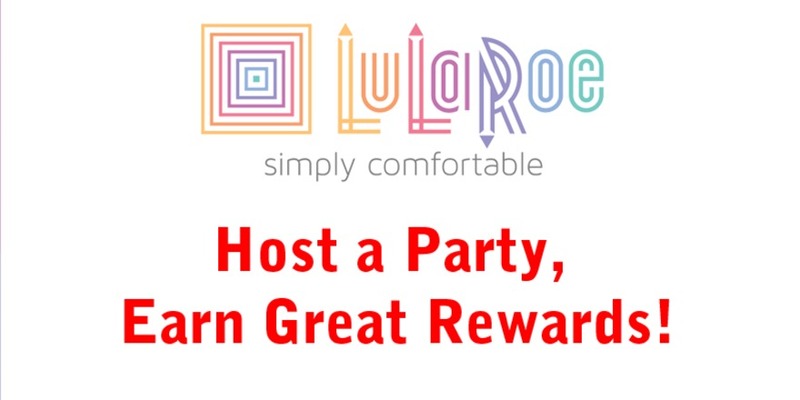 So hurry up and book a party so you can start your savings NOW!!! Just follow this link to see my INVENTORY or this one to contact me about scheduling a PARTY. 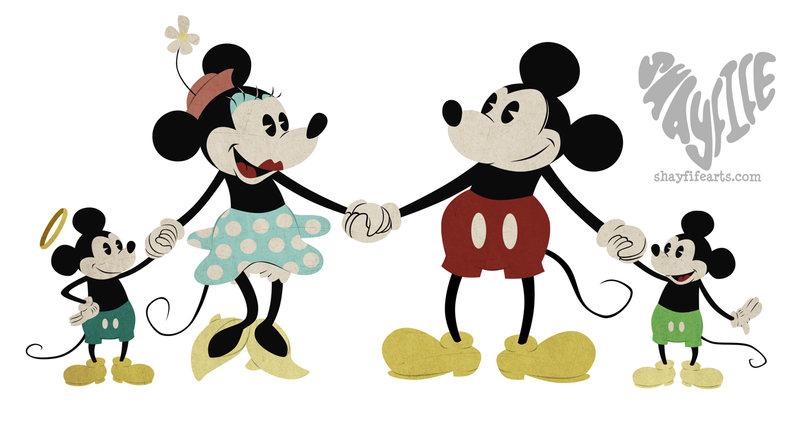 For Valentine’s Day this year I decided to create a family portrait for my husband with all of us as Mickey Mouse characters. It’s me and my husband and our two sons – Kyden and Carson. Kyden is the one with the halo as he was stillborn. I plan on adding to it as our family grows!